Situated in Kigali, this hotel is within 2 mi (3 km) of Rwanda Development Board, Stade Amahoro, and Inema Art Center. Ivuka Arts Kigali and Union Trade Center are also within 6 mi (10 km). Along with a restaurant, this hotel has a fitness center and a bar/lounge. Free buffet breakfast, free WiFi in public areas, and free self parking are also provided. Other amenities include a meeting room, concierge services, and dry cleaning. 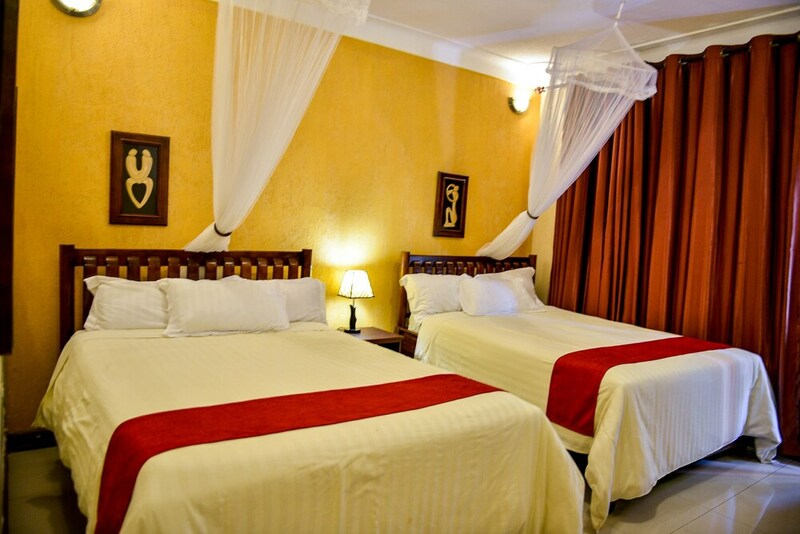 All 22 rooms offer free WiFi and free wired Internet, plus balconies or patios and sitting areas. Guests will also find cable TV, minibars, and room service. The hotel offers a restaurant. A bar/lounge is on site where guests can unwind with a drink. A complimentary breakfast is offered each morning. Public areas are equipped with complimentary wired and wireless Internet access. This business-friendly hotel also offers a fitness center, a terrace, and tour/ticket assistance. For a surcharge, the property provides a roundtrip airport shuttle and an area shuttle. Onsite self parking is complimentary. Start your morning with a free buffet breakfast, available each day of your stay. You can order a meal from room service during limited hours.